CHOCOSOL® Bean-to-Bar Chocolate is handcrafted in Canada from Raw Cacao Beans sourced from small-scale Indigenous communities of Mexico, Dominican Republic, Guatemala, and Ecuador. It is made fresh on a daily basis. 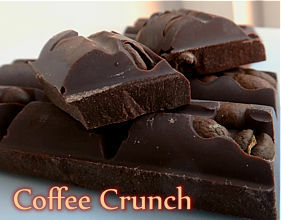 ChocoSol Cacao Beans are harvested naturally, sustainably, and ethically. Non-GMO and free from preservatives, soy, gluten, and dairy. We would recommend 100% Chocolate for baking purposes and making a glaze. 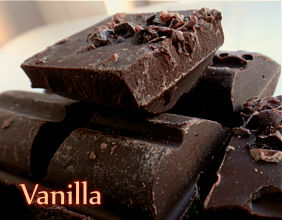  Ingredients, COFFEE CRUNCH - 65% Cacao: Roasted cacao nibs, Raw cane sugar, Cacao butter, Coffee beans, Vanilla pod, Sea salt. 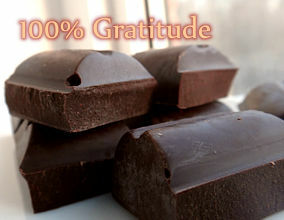  Ingredients, 100% GRATITUDE - 100% Cacao : Roasted cacao nibs, Cacao butter. (No sugar, no flavours).